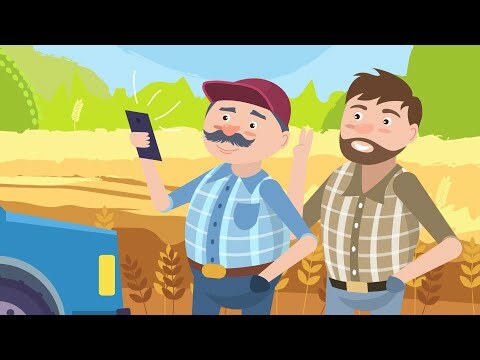 Nufarm project is an explainer video, that narrates about all benefits and advantages of Monitor harvest protection complex. The client provided well written and timed script and gave us a creative freedom regarding images and animation. Main caveat was the deadline as it was strictly tied to soon to come agricultural exhibition. Our team developed illustrations and animated the full video in a record breaking terms. Two farmers are riding the country roads. Younger one admits that his colleague’s harvest is very impressive. They stop and the older farmer shares his secret. He is using American harvest protecting complex Monitor developed and produced by Nufarm.